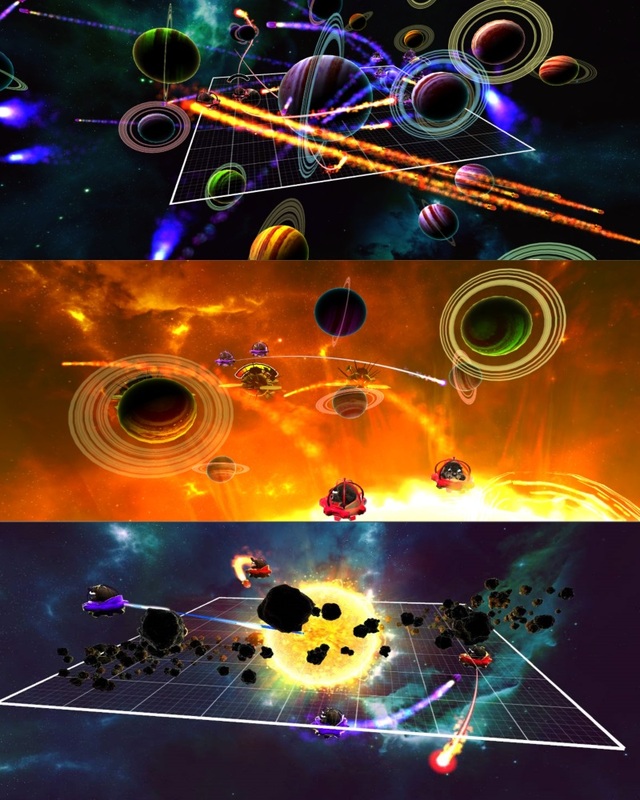 Buy Mammoth Gravity Battles right now on Android Play Store and Amazon Kindle Store and Windows 8 Desktop and Phone. Sign up to our newsletter . 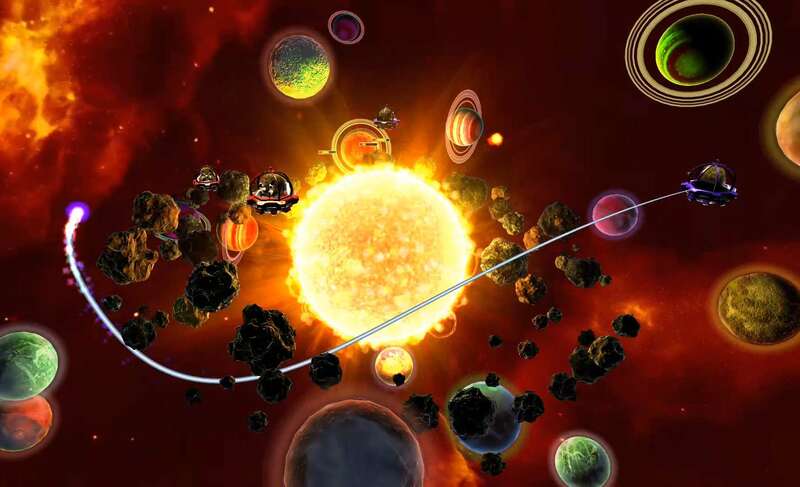 Mammoth gravity battles is a game of skill and turn-based strategy with gravity, planets, physics, black holes, missiles, mammoth explosions, crazy weapons and best of all, woolly mammoths (in flying saucers). Out now on Windows Phone and Windows 8 Store. 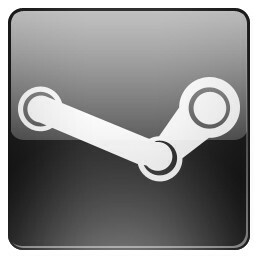 Coming soon to PC, Mac, Linux, Android, iPhone, iPad, Blackberry, Ouya. 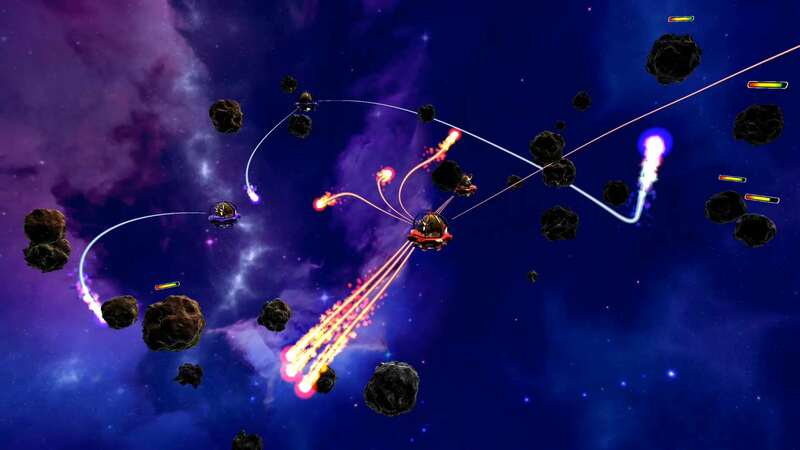 Chaotic space battles around asteroids. Aiming in a 3d gravity field is complex, only the best can manage it. 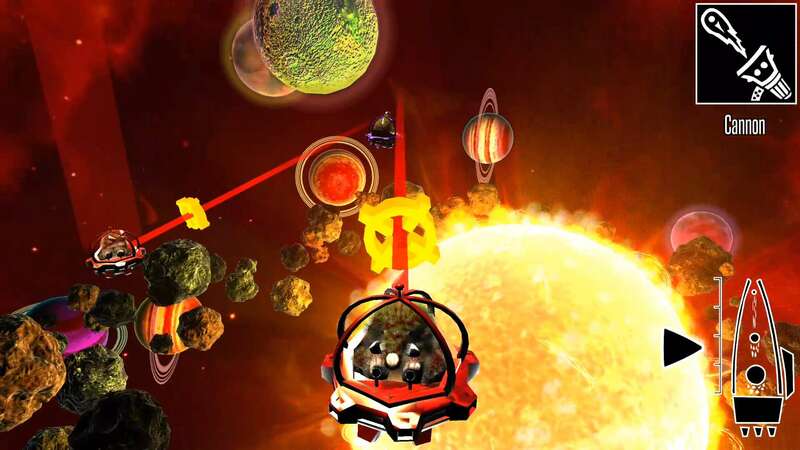 A Mammoth-ship aiming a shot in a tricky star system level. A single shot moving under the gravity of a star a ring of asteroids. 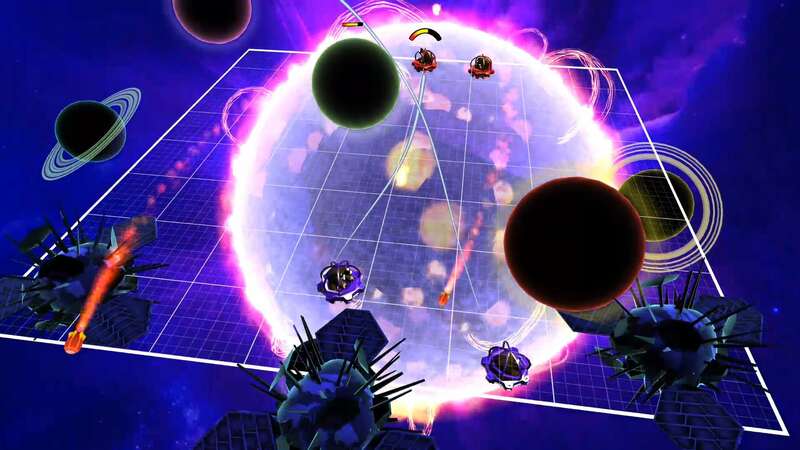 Shoot out agianst the computer and the single player campaign, or play friends in four player battles. Rockets are very hard to aim with, this the 'IPBM' the most deadly rocket makes it worth the effort - in impact the whole area is engulfed in flames! 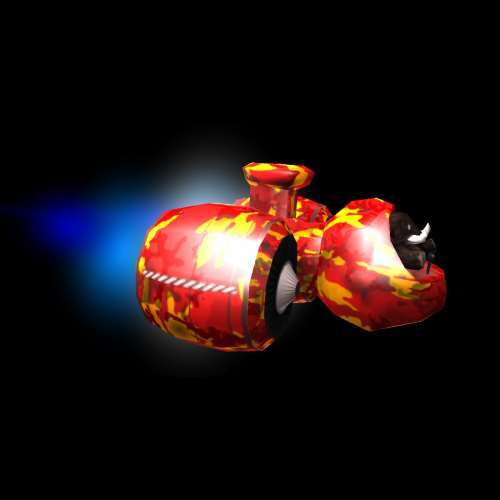 A tug-ship - pulls cargo in campaign missions. Selecting a ship, Aiming and the resultant action. 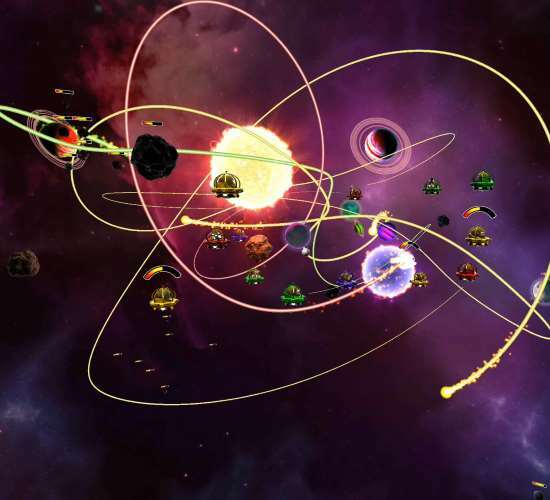 Trajectories of shots follows real many body physics. 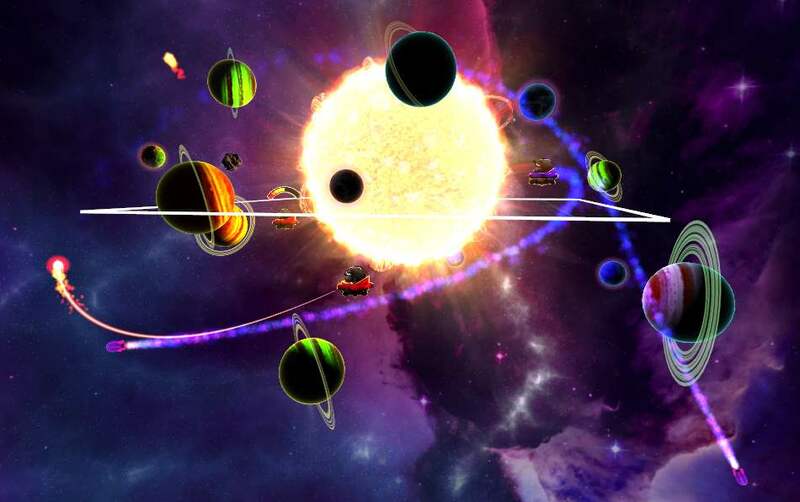 Asteroids are easily fragmented, and frequently moving. Broken asteroids yield smaller ones and if you are lucky, a nice weapon crystal - shatter this with a shot and you are rewarded with extra weapons. Large battles quickly get busy, strategy becomes more important than aiming skill. Picking targets cleverly and thinking of the longer game will pay off. The main game menu. 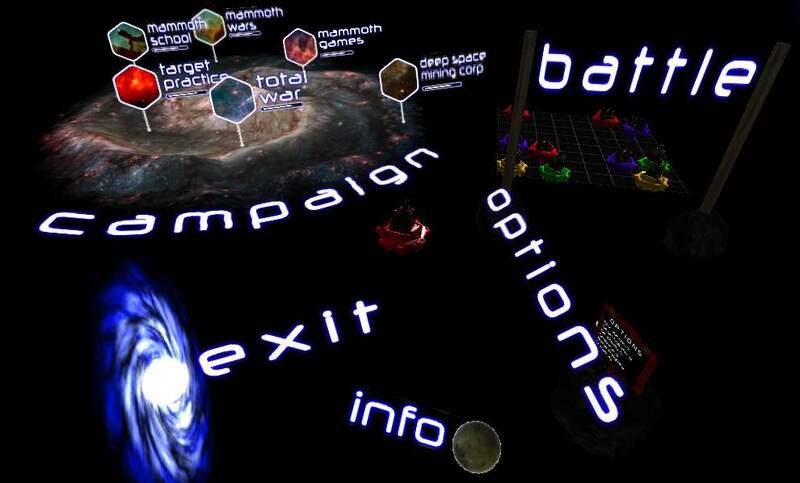 The campaign selection screen is visible, from which you can select a sector and then a mission. In the single player campaign levels show you face some deadly enemies. 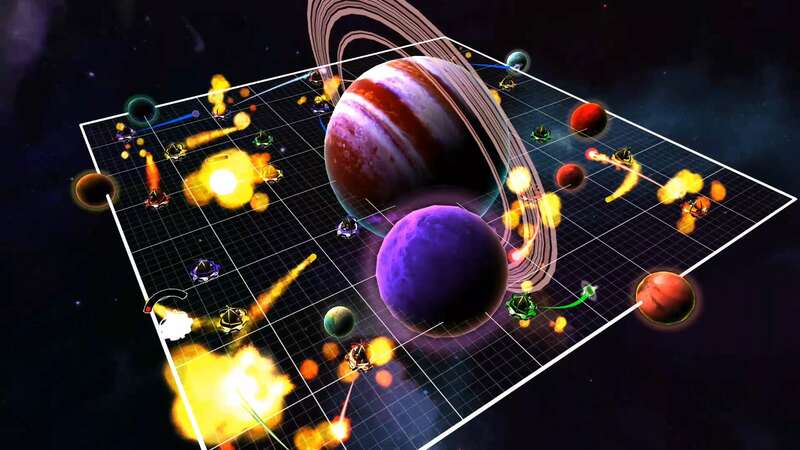 If the 3D mode is too much the game can be played with battles confinded to two dimensions. Games are quick and fun.